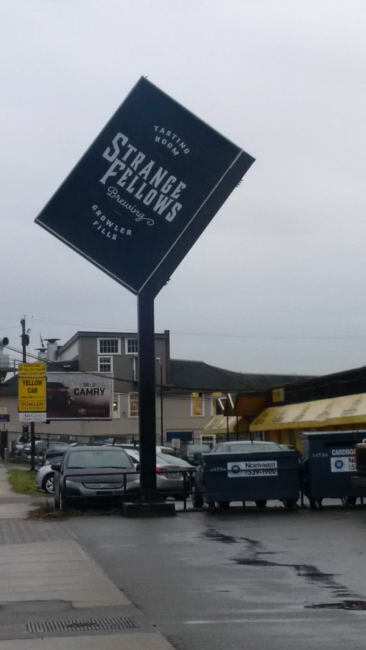 It is official Strange Fellows Brewing in East Vancouver has opened their doors to the public! With little fan fair the brewery opened up on December 17th, 2014. Hoping for a soft launch Aaron and Iain did not announce the opening date and time until 2:45pm on December 17th with an opening time of 3pm. On top of this they did not personally use social media but informed 4 local bloggers one being me. Until they get their lounge license they are only a tasting room. This means that you can do samples of their beer or one 12oz glass. Luckily you can also do growler fills which is really a must anyways. The brewery has launched with 6 beers which is amazing! The lineup is as follows Talisman (American Pale Ale), Jongleur (Witbier), Familiar (English Brown Ale), Jaune (Helles Lager), Boris Imperial Stout (Russian Imperial Stout) and Nocturnum (Dark IPA) all strange names to go with a strange brewery! Many people will be familiar with my many construction updates from the brewery. It would not be a compete post without showing what the brewery looks like at this point. Things will be in flux in the brewery as new equipment can be purchased and installed but here is the current configuration. 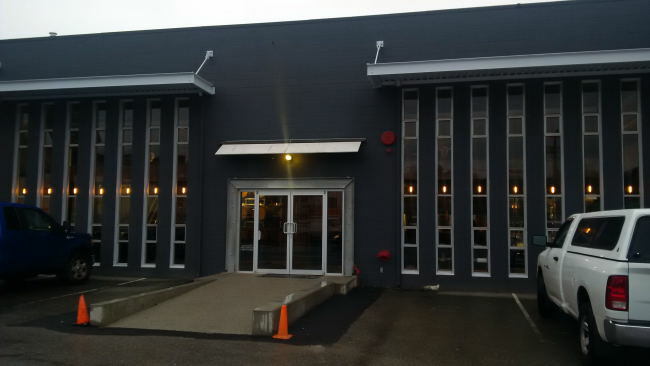 Now that the brewery is open it is time for everyone to check out what may become their new favourite watering hole! Here are my full sized photos from the grand opening. This entry was posted in Brewery and tagged bc, boris imperial stout, brewery, canada, east van, east vancouver, familiar, jaune, jongleur, nocturnum, soft opening, strange fellows brewing, talisman, vancouver.